Lucas & Cygnus meter agents, please call 0208 391 1600 to book an appointment ,Taxis available for hire now . We will Mot and Plate your taxi for you with no fuss,just drop your cab off and we will do the rest including meter change if your with Lucus or Cygnus. 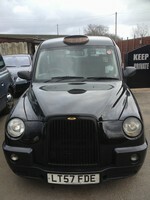 Kingston and Wimbledon taxis specialise in the sale,repairs,meters & rental of london black taxis. We also offer an excellent accident & repairs service . If you have an accident, call us & we will supply you with a taxi straight away so you can get back to work . 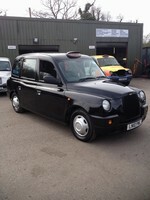 We offer a full range of taxis from TX1-TX2 and TX4. All taxis come with full comprehensive insurance & AA breakdown cover - we always have spare taxis available. As one of the largest fleets in Surrey we pride ourselves on making the cab driver our main concern and with our friendly staff we aim to please, with our warm waiting room with tea, coffee and TV. 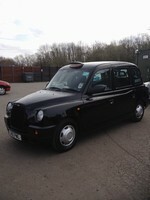 TX2 Rentals from £145 per week yellow badge offer / Gearbox experts for TX2 and TX4. 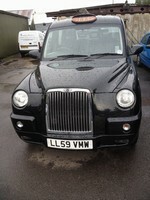 Our prices start from £145.00 for yellow badges, from £175.00 for green badges in TX2S ,TX4s start at £200.00 incl. AA back-up, insurance and tax. 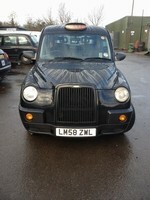 All cabs fully maintained by us, spare cabs are always available. Just pay the rent and leave the headaches to us! 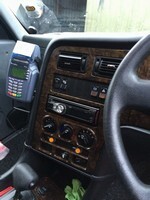 You can pay directly into our Bank or by card over the phone, all green and yellow badges welcome.This company is run by a london cab driver and partner who knows what taxi drivers want and over the last 19 years has built a very good business ,with good prices on black taxi sales and very good service our drivers get the best in the trade,if your renting you will always be able to contact us day or night. Copyright © 2019 Kingston & Wimbledon Taxi Centre, The Dell, Clayton Road, Claygate, Surrey, KT9 1NN Sales: 020 8391 1600. Developed by holdgate.net.